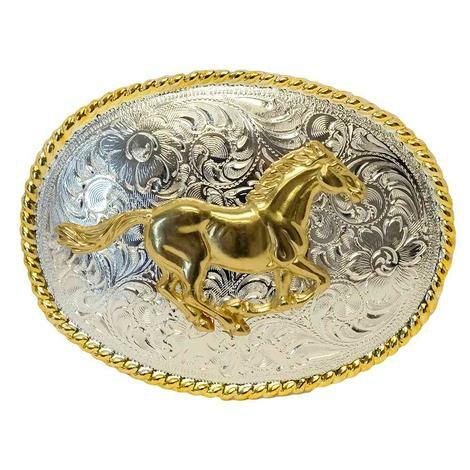 South Texas Tack offers individual style in one of a kind pieces on a regular basis. 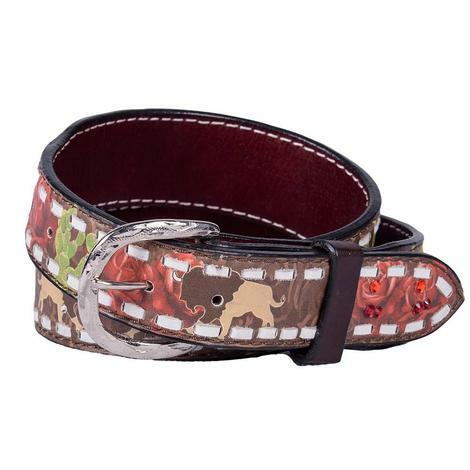 This particularly awesome geometric buckle belt is a statement beyond compare. 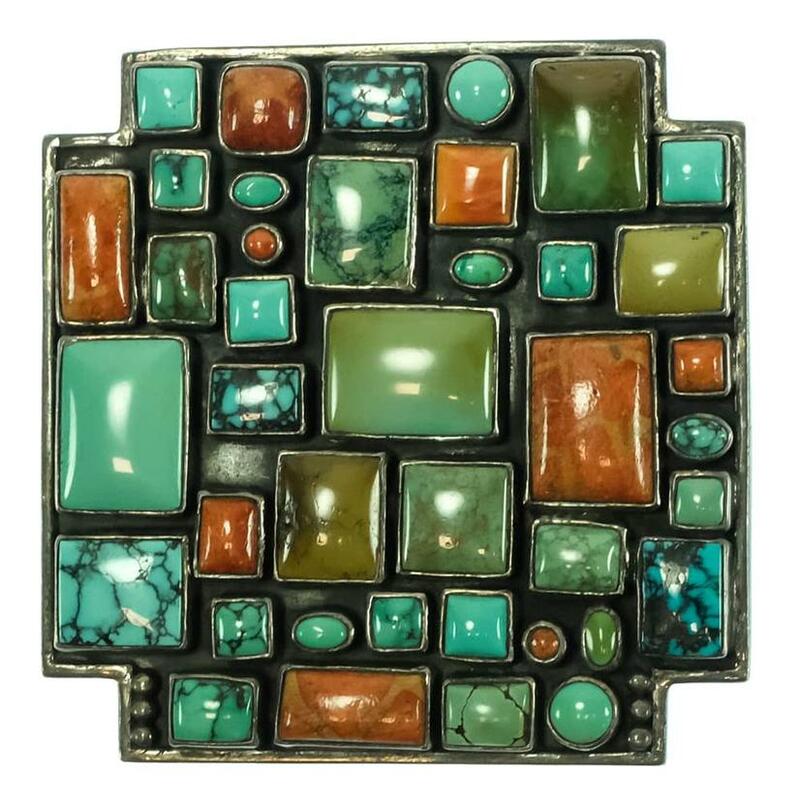 Irregular shaped square designed buckle has been adorned with multiple turquoise, coral, amber, and jade stones of exquisite nature to comprise a centerpiece to encourage conversation. 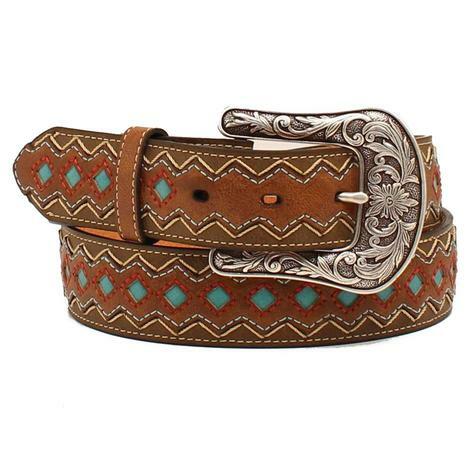 Genuine leather belt is simplistic in nature so as not to detract attention and simultaneously accentuate your lovely waist. Breathtaking.